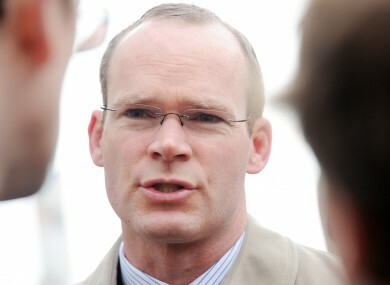 AGRICULTURE MINISTER SIMON Coveney has described this year’s EU Presidency as “very ambitious”. He made the comments during a doorstep for the European Council, where he spoke about the Agriculture and Fisheries Council, which is taking place today in Brussels. Minister of Agriculture, Food and the Marine, Coveney said that the main focus during the meeting will be on two key dossiers that he will be trying to get agreement on during the Irish presidency. This is a very ambitious presidency. We want to force the pace, if you like, in terms of moving from debate and discussion on these big issues to a decision. I think it will be a bit test for the European institutions over the next five to six months to get the job done. Earlier this month, the President of the Irish Farmers’ Association, John Bryan, said that negotiations on the EU budget and CAP are very difficult, and that “the right outcome will underpin Ireland’s prospects for growth in farming and food”. He added that Irish farmers will hold Minister Coveney and an Taoiseach Enda Kenny “directly responsible” for ensuring the negotiations have a successful outcome. Email “Coveney to "force the pace" on agriculture policies in EU ”. Feedback on “Coveney to "force the pace" on agriculture policies in EU ”.